Looking back on my trip, I can't believe how much we squeezed into 6 days! Our second to last destination was Galveston Island, Texas. Like the other places, it was so much cooler than I remembered. There are tons of pretty historic buildings everywhere with that cute, colorful tropical feel. These buildings are incredibly old. 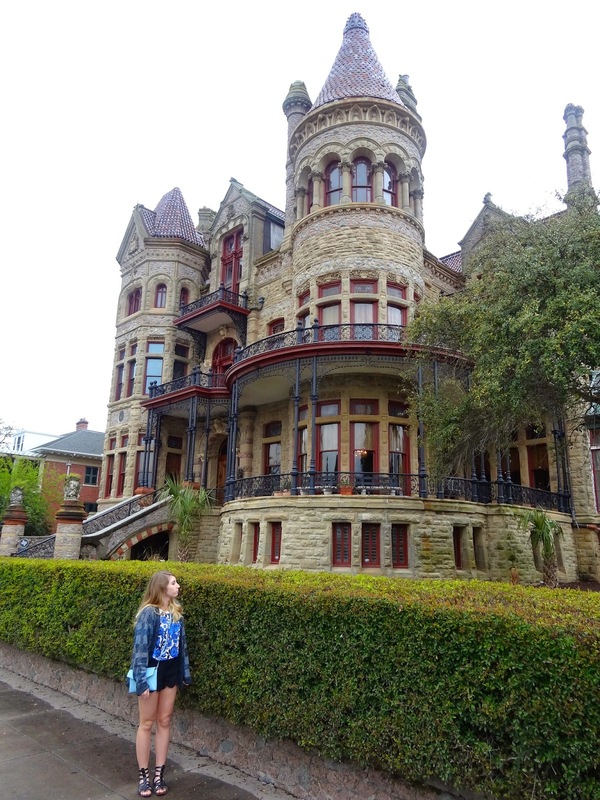 We stopped by Bishop's Palace, a super beautiful mansion. I'm really into old houses like this, so whenever I go by one I have to observe it's beauty. We didn't have time to tour it, but you are able to if you want. Galveston Island is supposed to be one of the most haunted cities in America. We also went on a dolphin spotting tour boat ride. We saw tons of dolphins for $10, and it's only 45 minutes long. I highly suggest it. The company is called Baywatch Dolphin Tours. Although the beaches aren't the whitest and the water isn't the clearest, Galveston is still a really fun place to visit. Amazing pics, I love your top!!! I'm following you via GFC, number 93... now is your turn!!! All very nice! Already captures the spirit at the sight of these pictures! Great photos, thanks for sharing. Followed you via gfc. Thanks for the invite, hope you can follow mine too.